Learning that home-made pesto is super easy to make was a life saver. 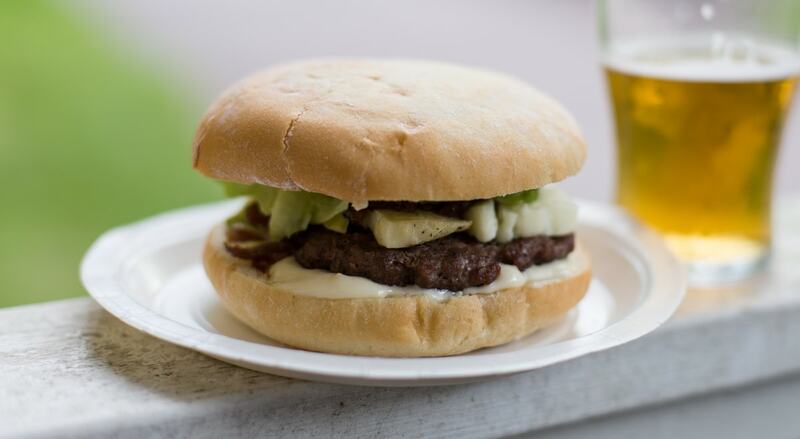 As an Italian expat, among the things that I miss the most living abroad there is easily accessible quality Italian food. I’m not too picky and I will eat the mascarpone and the mozzarella that I can find here, but in Italy even the lowest priced brands of such products surpasses in quality what I find here. One thing I am finding hard to buy where I live, for example, is good pesto. This issue arose when grocery shopping together with my mom, who is currently visiting us in Sweden. Her suggestion was very simple: why don’t you start making your own pesto sauce? I only recently got myself a blender jug, and had never really though of experimenting with home-made pesto before, but mom told me that there is not even the need to get that big glass jug dirty when just a simple hand blender is more than enough to do the trick. Maybe I can’t find good pesto in Sweden, but fresh organic basil plants are sold year round. We bought one and decided to turn it into a delicious pasta sauce. 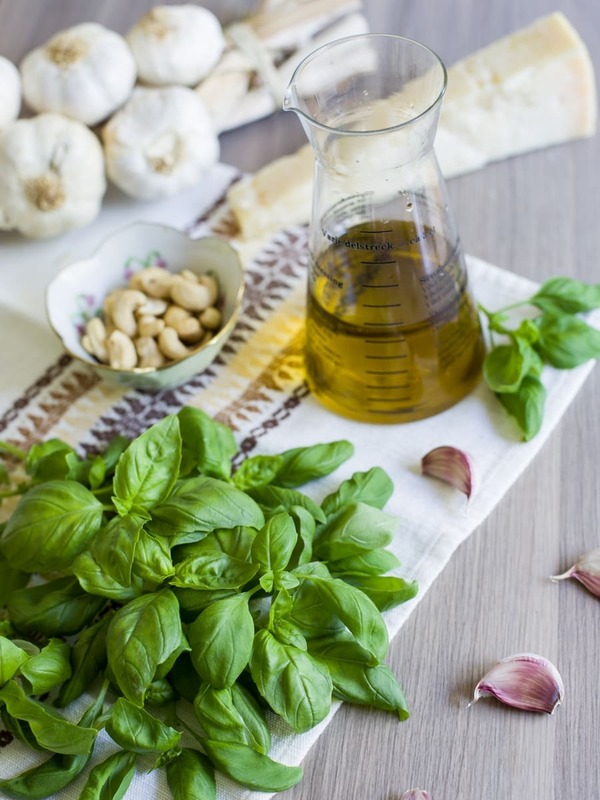 Pine nuts are awfully expensive and I had not thought about bringing any back from Italy, so I decided to make a little substitution in my very own pesto and use cashew nuts instead – they’re not as oily as pine nuts but similarly sweet, and that’s what I had at home. 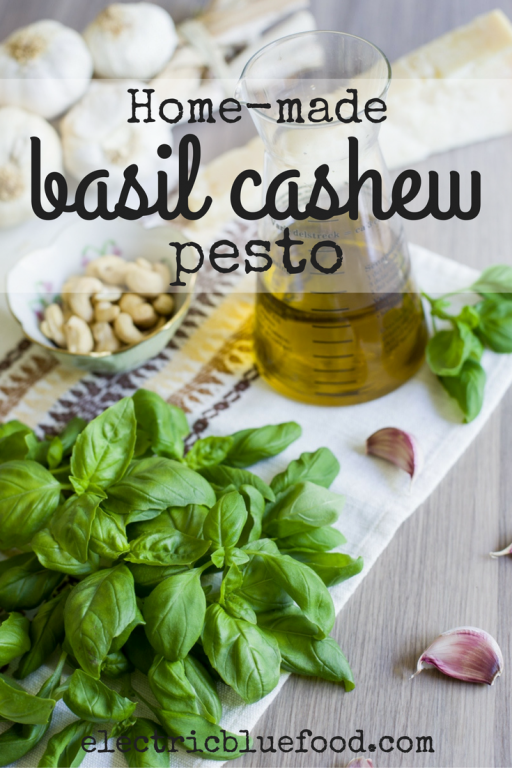 Fresh basil, cashew nuts to substitute the pine nuts, good quality olive oil and Parmigiano are the basis to home-made basil and cashew nut pesto. In a tall container, combine the leaves and top parts of 8-10 basil branches, the cashew nuts, 1/2 garlic clove (I sliced it so it would blend more easily) and about half the amount of oil. Start mixing with a hand blender. After a first crush, add the grated parmesan (I used Parmigiano Reggiano), a pinch of salt (or two… depends on taste) and the rest of the olive oil. Keep blending until smooth. Although best served immediately, it can be frozen for later use. Just refrigerated it may turn dark in colour and look less appetizing. This amount was perfect for a lunch for four. 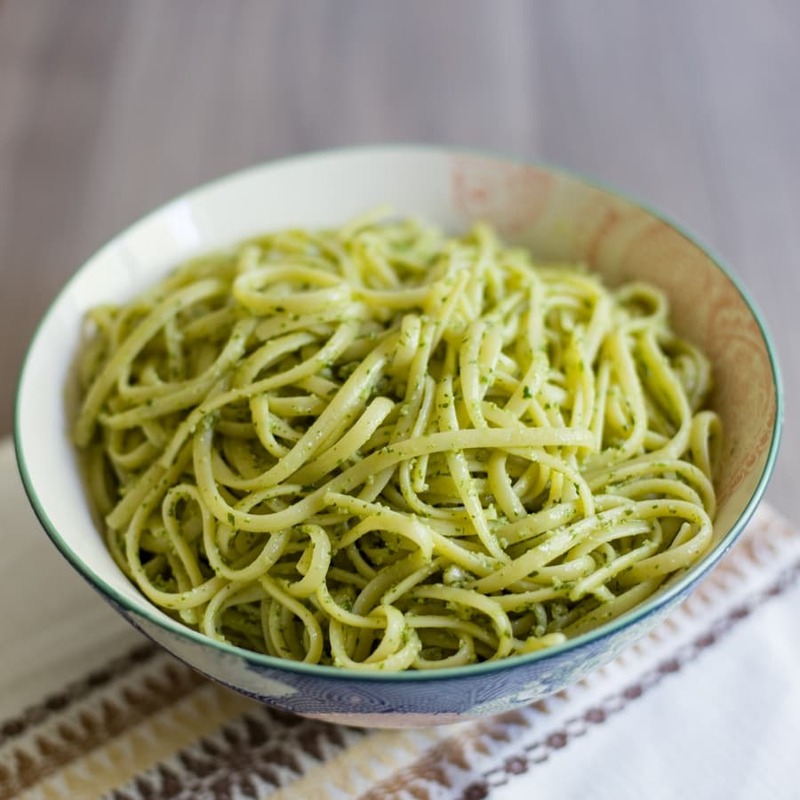 We made 400 g of linguine to go with this pesto. A delicious pesto pasta dish. After trying for myself how easy it is to make fresh pesto I’m totally sold. I will never again complain I can’t find good pesto in Sweden, because nothing will ever beat my very own now! Next time I’ll pair it up with home-made fresh egg pasta! Fantastic! 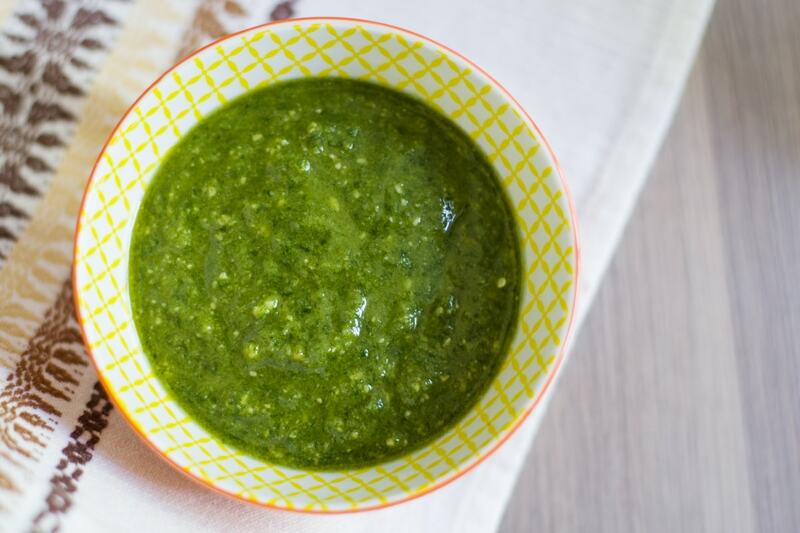 Once you’ve tried authentic Italian pesto, you’ll never want to go for something store-bought again (at least I don’t). So, this will finally cure my pesto craving!